Cara Jourdan | shoulder off. I am clearly having a love affair with off-the-shoulder tops lately! It is just the perfect way to show a bit of skin without going over the top, and a fun trend to play with for summer. 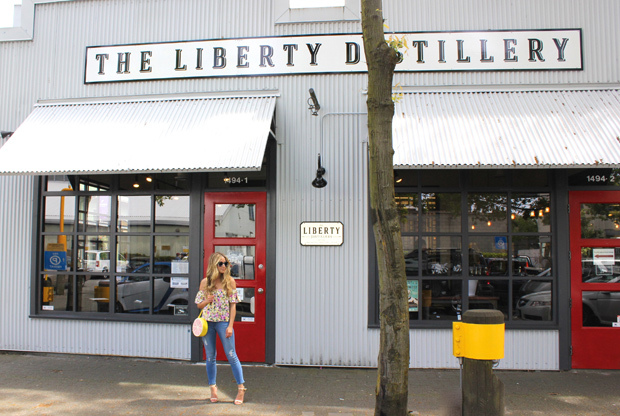 I took a quick ferry ride over to Granville Island - it is a must-see when in Vancouver, full of beautiful flowers & delicious food (from fruit & veggies to ice cream to desserts to fresh seafood, they've got everything!) and it is just a fun place to spend the afternoon, wandering around the shops and restaurants and art gallery's...especially on a sunny day! 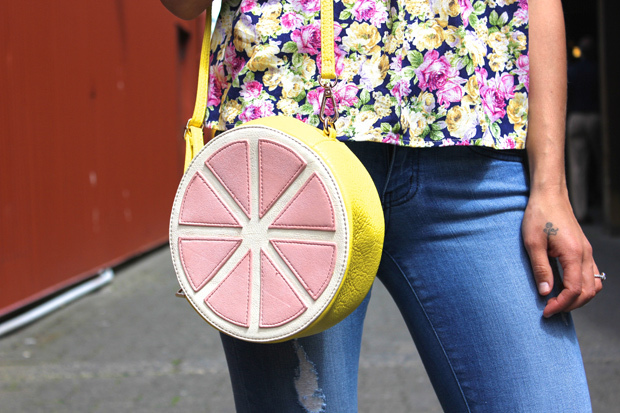 This is my third head to toe Lulu's look - don't you just love this Grapefruit bag? So much fun. You can see my other Lulu's looks here & here, and stay tuned for a Lulu's Giveaway!